Anne Curtis, Angel Locsin, John Lloyd Cruz, Angeline Quinto, and Enrique Gil talk about spending the holiday break with their loved ones. It has been a fruitful year for most Kapamilya stars and the Christmas season is the perfect time to reward themselves by taking a much-deserved break with their respective families. 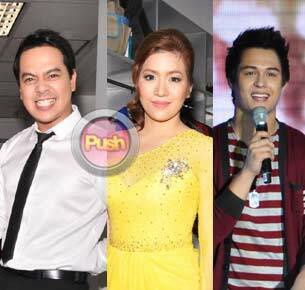 For Anne Curtis, Angeline Quinto, and Enrique Gil, 2011 has been filled with blessings and opportunities to take their showbiz career to the next level. Angel Locsin, on the other hand, is grateful not only for her notable acting stints but also for her love life. Even controversial actor John Lloyd Cruz remains as the country’s top endorser despite the bad press about his personal affairs late this year. With that, each one of them is looking forward to some rest and relaxation this Christmastime.